Lots of advertisers are anti-tech. But with more and more dorks strapping computers to their faces, anti-wearable-tech has become its own bona fide marketing subgenre. 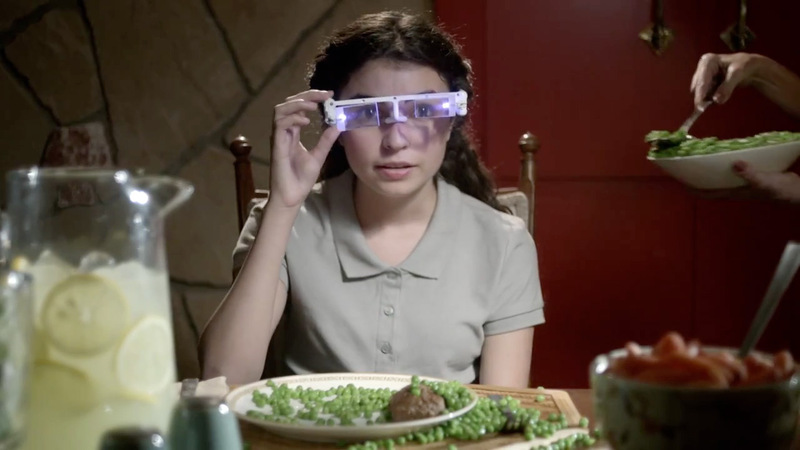 In this well-timed ad for FirstBank from TDA_Boulder, we are transported into an absurd cautionary tale meets PSA meets totally believable dystopic scenario—as an entire family wears clumsy futuristic computer glasses that present pop-up ads, take selfies, post them to the Internet and generally distract the wearers while they attempt to eat dinner. Three other ads take place in the polar opposite of the tech spectrum, Amish country, where stereotypical characters talk of tech sorcery and how inconvenient it is to physically go to a bank. Says one character, "I'd show you, but I'm not allowed to touch this thing." Advertising Agency: TDA_Boulder, Boulder, Colo.